Right now, I am in San Antonio, one of my favorite cities for my regular work and of course, while here, I thought to seize the opportunity to do a little ghost hunting and investigating, especially since the hotel I am staying at, is said to have had some peculiar things happen while renovating and the staff do talk about a ghost lingering on the premises. Also, something I like to do before I go on any trip now, is that I like to learn a bit of the history, especially the haunted history and I am not at all afraid to ask or inquire with the staff or managers about the possibility of investigating at their location. Always best to ask first before you do and many times you'll find out even more information than you may have read on the internet. I also like to keep an eye out for good ghost tours or hunts that are being offered locally. I had been to one before here in San Antonio several years ago, purported to be a ghost hunt and it was ok. It was more of a ghost tour which is good and you got to try equipment which is really nice, especially if you are like I was at the time, brand new at it and never got to see, much less use any equipment. It was a good start. However the site had pics of many of the celebrities and led you to believe they all knew the other and blah blah blah...After attending an event, I realized how false that was. Ok, so here I am again, another of many visits to San Antonio, where my hero Jim Bowie died at the Alamo. And while here, I thought to look to see if there were other tours or such and I came upon one that I have already signed up for and I am about to take tonight. It is a walking Ghost Hunt & Tour, with a tour group called: Alamo City Ghost Tours. As I was reading their brochure, they made a statement that I really liked which brings me to the title of this post. I was very impressed and it nudged me to write this post because I wanted to be sure that what I present here, also has the same clear and concise purpose and intent in mind. 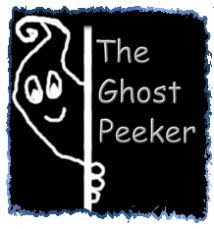 Please bear in mind as you read my blog, that this is about my own personal journey into the paranormal. The natural progression and steps I've taken, the places I've gone to, the experiences I've had, people I've met. I will also share whatever evidence I may or not get and how equipment works that I picked up, etc etc. I have put up pictures of me with many people that you may have heard of or are on tv etc etc. Now, I too, like this tour that I am to take tonight said, I do not know... "know"....those people. I am not their close friend, I am not investigating alone with them nor am I on the shows. Yes, I have investigated with many of them, me along with a lot of other people at ghost hunting events. Some of them, yes, do recognize me because I've gone to several events and will say hello and chitchat with me and I can talk to them yes, but I am not close personal friends with them. I want to be sure that my blog does not put that out there or misleads in any way, because my own personal intergrity and honesty mean a great deal to me. I put up their pics with me so you know who they are that I am talking about and that yes, I have indeed met them and it also shows you that yes, YOU can go meet them too! :) But I am not wanting to ride on another's coat tails or doing this to align myself to someone else who has become well known in the paranormal field. I've never been one much for limelight, but I do like to have fun and I am not intimidated or afraid to go up to anyone and talk to them, famous or high ranking or not. Most of those who I have met, are where they are because they are experienced and good at what they do. I am not one to have stars in my eyes or go gaa-gaa, but instead, I enjoy talking to them to learn. Each one, when you investigate on one of the events with them, has their own way or specialty they like or prefer. So here is a great opportunity to learn how they do what they do and then see if you like it or what you can learn to take back with you for either your own team or just your own self enjoyment. :) Also remember, that when you go to events, not only can you learn from the well-known, you can learn from those not on TV. There are many groups and research teams that go to these and you can learn a lot and pick up pointers from them as well. I'll be talking about them too in coming blog posts. Another reason and point of the blog is to try to network and bring all those together that I have met and help the reader to learn how to go about it. How to go to the events, where to get the information, where these places are located at...all of that. To show you that if I can do this, so can you and here's how! I hope to also pass on to you about the different readings I've had with people, tours that I can recommend or events as well. Help you to learn what to expect, what to take and perhaps point you into the right direction. I do read tarot cards although I am not a psychic, I can get strong impressions and hear the messages the cards are sharing with me for you. I am also what is called a natural shield. I can block energies from harming people and myself. I have started to see auras which I'll get into in the future as I believe I have touched on it already. I am studying Druidry and some Reiki and continually reading and developing my own skills and natural abilities. I do not have my own paranormal research team although I am taking my time in developing one and talking to people. The problem however is that I adore travelling and not many people have the ability to do so as easily as I so that is difficult. I do enjoy and love to investigate with other groups and I have been slowly setting that up for when I go to different places. I have my own equipment that I use and can actively engage and contribute to the team I may be working with. If at any time, you have a question or want to know about something of myself or where I've gone to or what I've done or talked about on here, please feel free to drop me a line. :) I am happy to share whatever I can.